Hello friends, it’s time for our annual fundraiser, and 2018 is year six of “Light Gives Hope”!! If you’re brand new to this campaign, or you’ve been here since the beginning, we thank you. This year due to personal circumstances, we will be raising money for our baby nephew, Oliver, and his parents, Lucas and Gracie. Oli was born on July 30th, six weeks premature, and diagnosed with VACTERL association. VACTERL association is a disorder that affects many body systems, and Oli specifically has an Esophageal Atresia, Anorectal malformations, one functioning kidney, and spinal malformations. 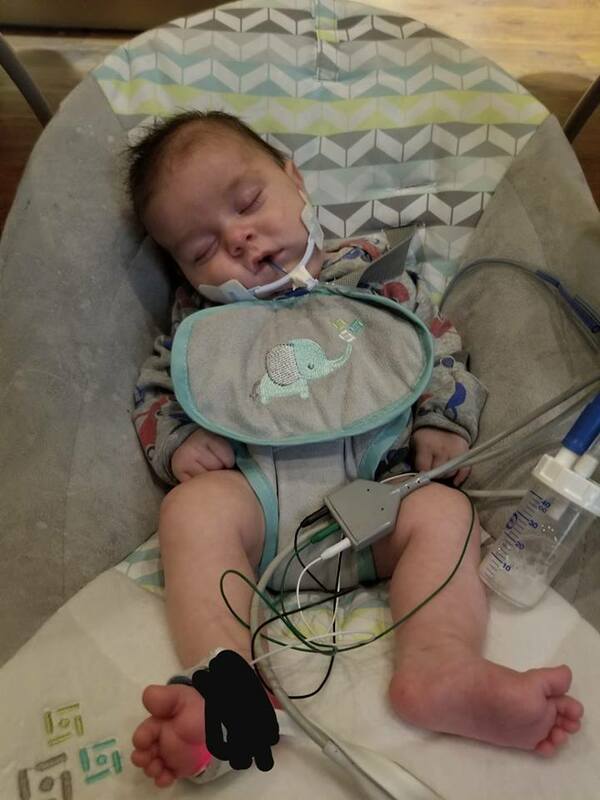 Oliver has made his home in the NICU since birth, and we are hopeful that he will soon be transferred from north Texas to Boston Children’s Hospital to undergo a series of surgeries. He had his first surgery the day after he was born, and the past three months have been a roller coaster, learning more about his needs specifically, adjusting his care as he grows, and discovering that his quality of life will be drastically more challenging if he doesn’t receive specialized care in Boston. We don’t know when Oli will get to go home for the first time, we don’t know when he will get to feel sunlight on his skin, and we don’t know when he will get to move freely without a G-Tube, colostomy bag, or a replogle tube. But we believe wholeheartedly that Oli will get to do all of these things, and that he will live a full and beautiful life. He’s a precious baby, bright eyed, resilient, and a blessing. This year we have designed “Hope Houses” (mini wooden house candle holders) to represent the warmth of home. For Oli, home is in the NICU, where the nurses love him and care for him, where his mommy and daddy spend countless hours, and where his closest loved ones come to visit, hold, rock, and fervently pray. Through the sale of these “Hope Houses” we hope to lessen the financial burden for Lucas and Gracie. VACTERL association is oftentimes a lifelong healing process, with handfuls of operations, ongoing therapy, and monthly/weekly appointments. Insurance is helpful, but there are also the needs that can’t be met by insurance, like travel, hours away from work, and exhaustion. 100% of the profits will be donated to Oliver and his family. Each “Hope House” is handcrafted with reclaimed wood in our Colorado woodshop, and will include a mini taper candle with purchase. All profits will be donated to Oli and his family. We do thank you for giving hope this season, whether through a purchase or a prayer. Blessings to you. To follow along with Oli’s healing journey you can visit his Go Fund Me page, or his Facebook page.